At Angel + Blume we welcome any and all questions about interior design and since we’ve been receiving quite a few from our readers recently, we decided to dedicate this blog to answering some of them! #1 Where can I buy custom-made pillows and bolsters that will fit a larger bed? My feelings towards my bed, like to most of the readers I suspect, are ones of joy and adoration, so when something’s not quite right you will find yourself forever waking up on the wrong side of the bed each and every morning. When you’ve decided to invest in a larger bed there’s nothing more irritating then not having the right pillows to complete it. We’ve done some scoping and found the lovely online company Bespoke Bed Linen that’s been making custom sized pillows, as well as sheets and duvets, for over 40 years. They’ll make pillows to whatever measurements your heart desires, and have 85 colours to choose from, so you’ll be able to complete the bed of your dream! 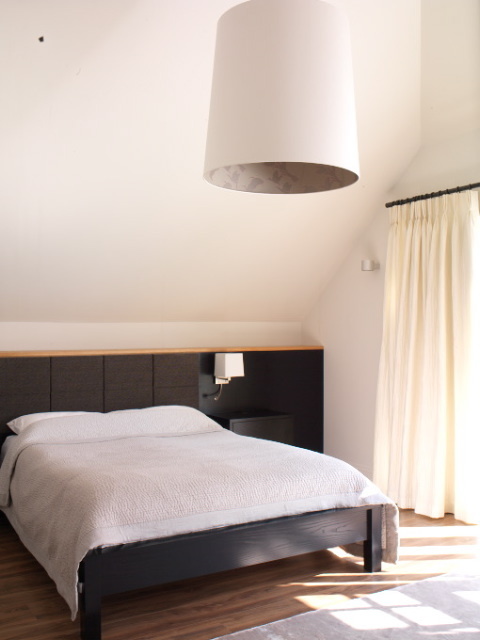 For a little inspiration here is a bedroom Angel + Blume designed for a client that features a bespoke bed with a built-in headboard and some very comfy bedding! #2 I have a salvaged loo which I want to install but it doesn’t have a loo seat, can you recommend a company to buy a good quality wooden seat from? A vintage style toilet can really bring character to a bathroom, and the best place to acquire wooden loo seats is Tosca & Willoughby. They do a lovely range of styles and types of wood to accommodate your needs. My favourite style is the Thunderbox Seat, it comes in Mahogany, Oak, Black and White and will look perfect in a beautiful period home. As an added touch Tosca & Willoughby can also make bespoke hand-painted loo seats if you had a design in mind or wanted to add something special to your throne! #3 Where can I get nice furniture for my conservatory? Conservatories and garden rooms are a charming addition to a home, but often the furniture for conservatories can appear a little dated. Marston and Langinger is the holy grail of garden rooms, they create truly beautiful conservatories, orangeries and garden rooms, and this has led them to create furniture to work perfectly inside them. The Willow collection by Marston and Langinger will maintain its timeless look for years and years, making the pieces a worth while investment. If you want to add a more delicate feel to your conservatory then take a look at the Wrought Metal collection, they make great extra additions next to a wicker sofa, or by themselves as a chic table and chairs set, plus they are easy to move around and take out to the garden during the summer months. #4 I want to create a shower in my attic bathroom but I can’t find a shower screen that will fit, any advice? Utilising space is the best way to make the most out of your home, and though it’s a difficult space and will require a less conventional layout, a bathroom in the attic can look amazing as long as it’s well thought-out. 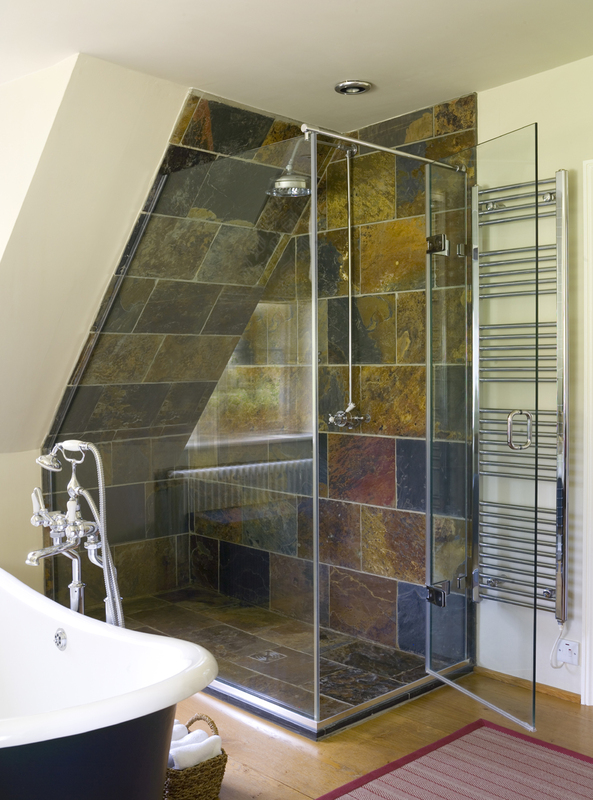 It may be hard to find a ready made shower screen that will fit into an attic bathroom, so the best thing to do is go bespoke. Companies like The Shower Lab specialise in producing beautiful customised shower screens, they will visit your home, measure up and create a personalised template for a shower screen based on the space available, allowing you to have your perfect shower! #5 Can you recommend anywhere to buy some contemporary tie backs for my curtains? We love a good trimming at Angel + Blume, and it’s a wonderful way add a finishing touch to your home, and although you might think of trimmings and tie backs as only suited for traditional English country style, they are the perfect addition to complete the look of a contemporary home. Most fabric designers make lovely trimmings to match their collections, but one of the best places to look for trimmings is Houlès. Houlès is a french company that makes the most divine trimmings, they’re high quality and exude luxury even if you’re opting for a low key style. They’re products range from traditional to contemporary, and everything in between. If you’re looking for something contemporary and want to make a statement the Ebony collection is truly eye-catching. We hope this has cleared up some of your queries, and if you have any more questions you’d like answered by all means leave them in the comments below!